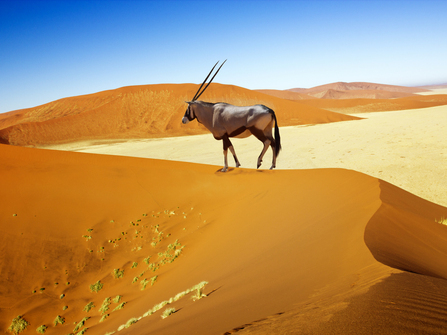 An excellent introduction to Namibia, this seven day self-drive safari focuses on the wildlife and cultural highlights of Northern Namibia with superb and good value bush camps and lodges throughout. 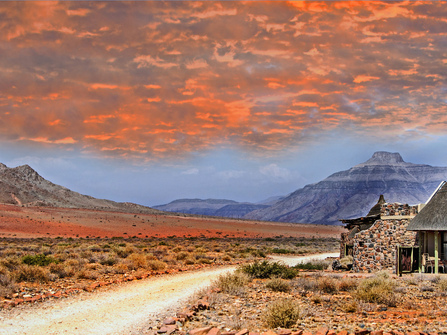 Comprising relatively short driving distances this safari includes the game-rich plains of Etosha National Park, Damaraland's lava-sculpted landscape, and the Central Highlands' spectacular Erongo wilderness. 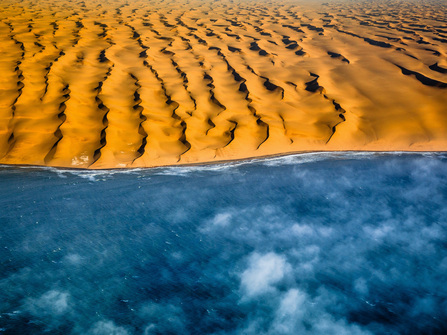 This itinerary ties in well with visits to Zambia's Victoria Falls, South Africa's Cape Town, or Botswana's Okavango Delta, or combines perfectly with our Southern Namibia itinerary for a longer more in-depth foray in Namibia. On arrival at Windhoek Airport you will be welcomed and driven to the Elegant Guesthouse, located in a quiet suburb of Windhoek just a short drive from the capital's many shops and restaurants. The transfer takes around 45 minutes, with stops along the way to stock up on supplies. Your fully air-conditioned 4x4 vehicle will be delivered directly to the guesthouse. 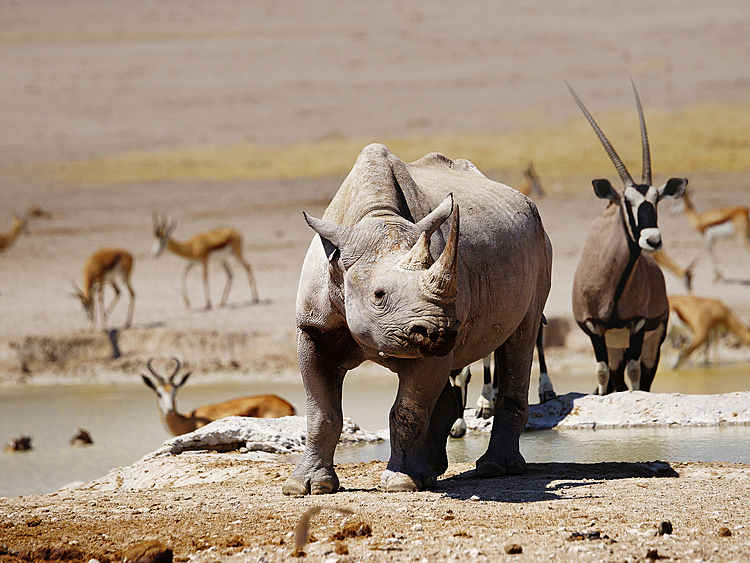 The self-drive tour commences today with a 3-hour journey to the beautiful Okonjima Nature Reserve. Nestled amidst the Omboroko Mountains, the reserve is home to the highly informative AfriCat Carnivore Care Centre and the ‘Okonjima Experience’ where visitors actively participate in a leopard sustainability programme by collecting and collating data with their professional guide. 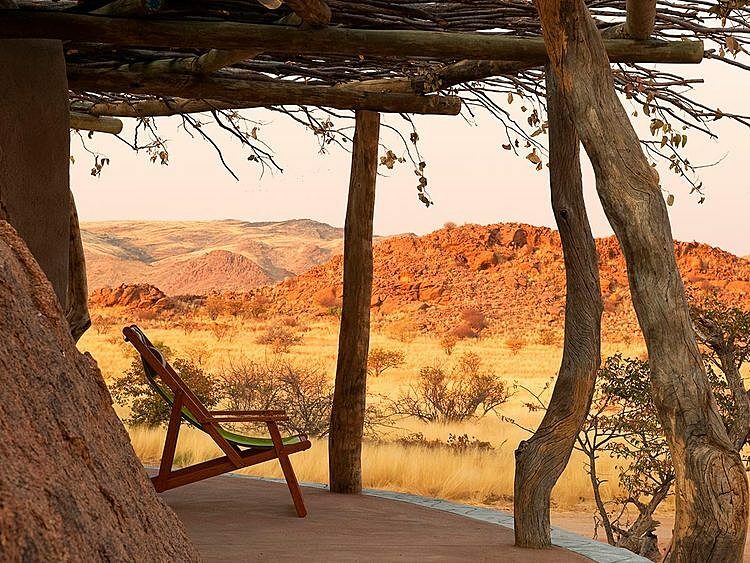 Enjoy an overnight stay at Okonjima Plains Camp, a tastefully upgraded ex-cattle farm which offers nature trails and game drives in this game-rich area. Boasting two pools and an open-plan bar and lounge, the camp is a lovely place to relax, with fabulous views of the open grass plains. 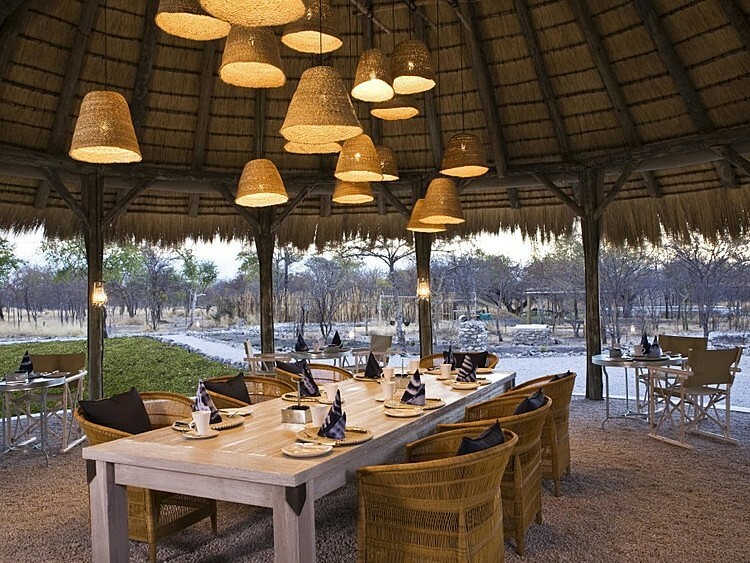 Today's 5 hour drive leads to Mushara Bush Camp, a high quality safari base with a 'down-to-earth' feel in a delightful bush location, just 10 kilometres from Etosha National Park's eastern gate. The camp offers optional shared morning or afternoon game drives, and is a great place to unwind at the end of an eventful day. 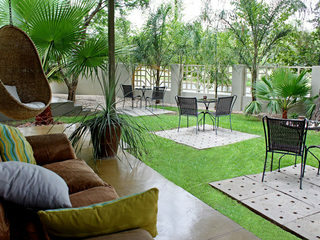 Each of the 16 tents have been thoughtfully designed to provide shelter from the heat, and boast large private verandas. 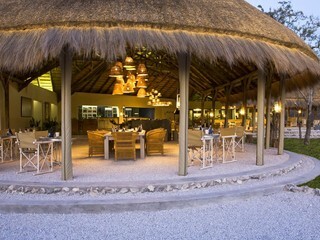 Meals are served in the communal thatched dining area, and guests will enjoy sharing the day's wildlife sightings around the evening campfire. Today's journey from Namutoni to Etosha National Park's southern reaches can be driven in just 2 ½ hours, but it's best to take your time and make a full day's game drive of it. 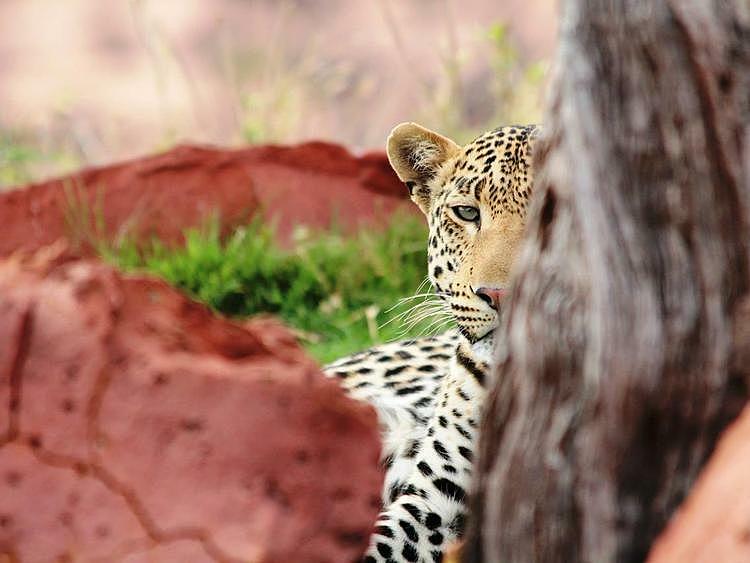 The park’s tarmac roads are easy to navigate, and the arid, chalk-white landscape is home to a rich variety of wildlife including the rare black rhino, elephant, giraffe, blue wildebeest, zebra, impala, an abundance of big cats, and an impressive array of birdlife. Note that the park opens its gates at sunrise and closes at sunset, and the speed limit is 60 km/hour, so do keep this in mind when planning journey times. Stay overnight at the Okaukuejo Rest Camp, a former military outpost offering pristine and comfortable accommodation complete with bar, restaurant and swimming pool. This sizeable camp's main draw is its waterhole which is floodlit at night, and attracts an amazing diversity of animals, including lion, elephant, and the endangered black rhino. 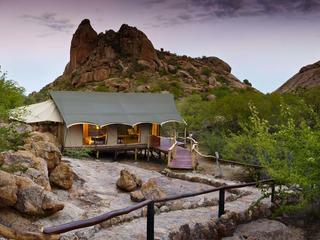 Today's 4 ½ hour drive leads to Camp Kipwe in southern Damaraland. This quirky camp comprises 10 igloo-shaped chalets huddled amongst the rocks, with sweeping views across the Aba Huab Valley. Guided morning nature drives in search of Namibia's unique desert-adapted elephant are possible, along with afternoon excursions to Twyfelfontein, a world heritage site boasting impressive boulders inscribed with Africa's greatest concentrations of ancient rock art. Visits to Burnt Mountain, and a magical set of volcanic rock formations known as the 'Organ Pipes' which appear to shimmer in bright sunshine, are also included. 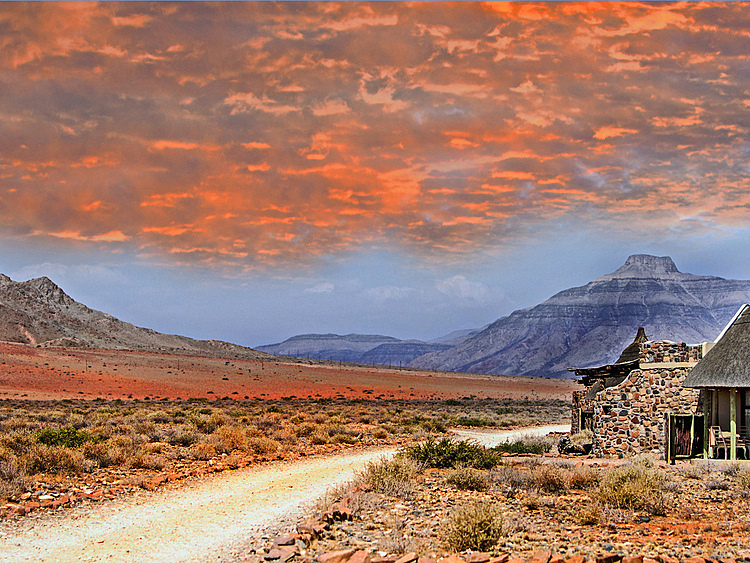 If time allows, it's possible to visit the Damara Living Museum, a nearby community venture introducing visitors to local people and traditions, plus there are a number of guided nature walks in and around camp. Back at base enjoy a swim, a rest, and a hearty dinner at the end of an adventurous day. 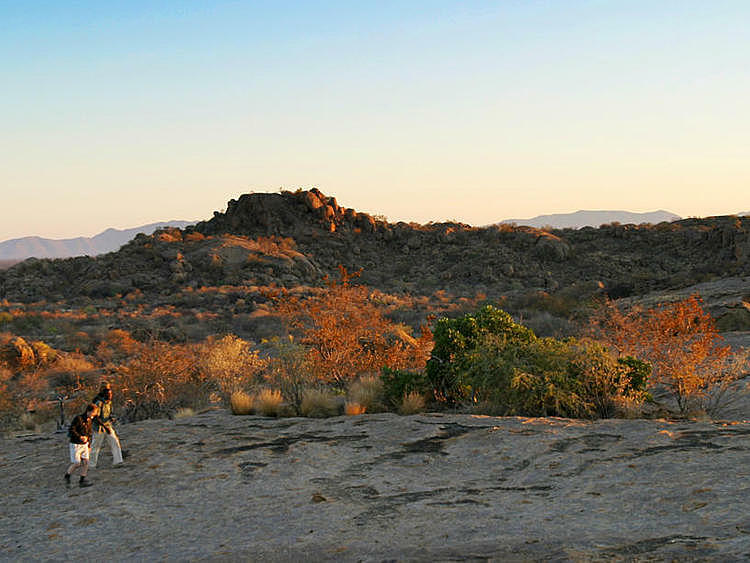 Today, take the 4 ½ hour drive to the relaxed and delightful Erongo Wilderness Lodge. 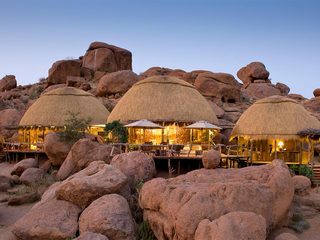 On arrival, park at the bottom of the hillside, and a security guard will call the lodge and request a 4x4 transfer for the short distance over the boulders to the lodge. Occupying a spectacular setting in the foothills of the Erongo Mountains on the edge of the enormous Erongo Crater, this small 10-room lodge blends into the magnificent boulder-strewn landscape, with rooms linked by walkways meandering between the rocks. The camp has a laid-back pace, and there's a swimming pool with stunning views, along with a decking area for dining under the stars overlooking the floodlit waterhole. Morning and afternoon guided walks are available daily, and the camp also offers self-guided walking trails and guided nature drives into the 200,000 hectare conservation area. 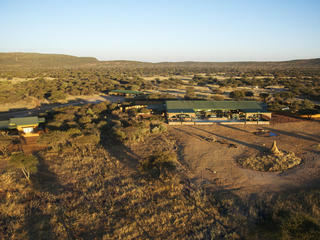 The birdlife is a key attraction, and the evening sundowner walks leading to a fabulous viewpoint are a real highlight. Enjoy a final day at leisure in and around the lodge, taking part in optional activities as preferred. Today's final drive takes you back to Windhoek airport. It's best to arrive at least 2 hours before flight departure in order to allow enough time to fill up at the airport’s petrol station, drop the hired vehicle back, and check in.